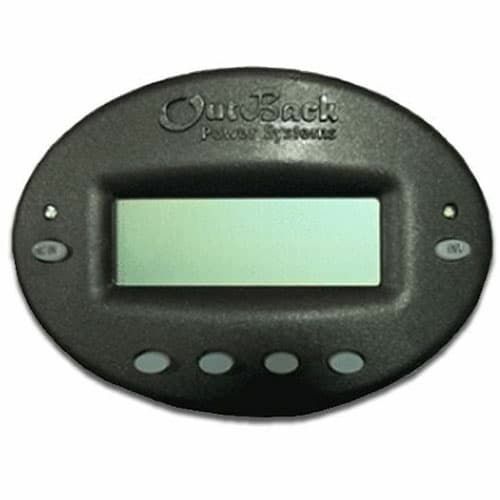 The MATE system display and controllers are complete management tools for your OutBack Power system. Through the use of a single MATE, you can remotely manage and monitor multiple inverter/chargers, MX60s and any future OutBack power conversion and control products. A built-in clock and calendar function enables timer based programming of inverter and charger operation, allowing operators to set the system to work with time-of-day power rates or to limit a generator's runtime to a specific time period of the day or week. All of your settings are stored in permanent memory to eliminate the need to reprogram in the event of a system shutdown or battery replacement. The MATE and MATE2 include a RS232 port with DB9 jack for connection to the serial port of a PC computer. Through the use of optional WinVerter software, operators can perform actions such as data-logging and graphical display of the system's operation and performance. The MATE system display and controller is surface mounted while the MATE2 is flush mountable in a wall cut-out.